This year (2015) has brought us a lot of new pre workout supplements. Three of those pre workouts are brought forward exclusively by Transparent Labs with their game-changing PreSeries line. This line contains: BULK, for building muscle; LEAN, for getting ripped; and STIM-FREE for doing both without the use of stimulants. The BWSB staff have tried all of these pre workouts numerous times. On top of that, we’ve documented tons of user feedback we receive via email. 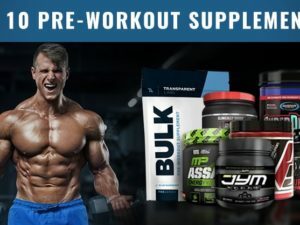 So here, we’re going to bring it all forward and break down the differences between these advanced pre workout supplements. By the end of this article, you should know which variation best fits your current needs and future goals. In the gym, we noticed that all of these pre workouts, no matter which one you chose, all gave spectacular focus, pump, and endurance. This is because each PreSeries pre workout contains a huge 6 gram L-Citrulline dosage for pump, complimented with BCAAs, Beta-Alanine, Betaine, and a collection of effective mental clarity ingredients that boost focus and energy. As you can see above, this is the core component to the PreSeries line. There isn’t one specific pre workout for great pump or endurance; each PreSeries pre workout offers industry leading pump and endurance. No micro hit-or-miss formulas here! STIM-FREE contains the core elements of the PreSeries line, as you can see above. That alone, makes it a serious pre workout. 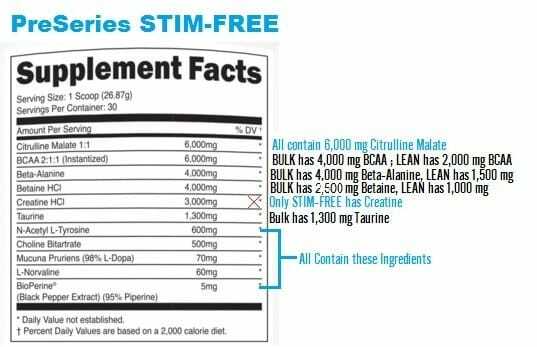 But, what separates STIM-FREE from the PreSeries pack, besides the lack of stimulants, is the massive 6 gram serving of BCAAs in the 2:1:1 ratio as well as 3 whole grams of creatine HCL. This is added power, endurance, and potential for fat metabolism and lean muscle growth that other pre workouts simply don’t offer. 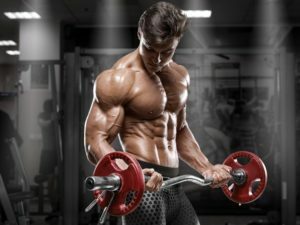 Take a look at some of the other stimulant free pre workouts out there, and you will not see another formula that comes close to STIM-FREE in terms of quantity and diversity. Even more so, STIM-FREE contains several cognitive enhancing ingredients that can give you a mental boost similar to traditional pre workouts without the negative effects of stimulants. Not bad. You can view our full PreSeries STIM-FREE review here. BULK and LEAN are specialized takes on the powerful PreSeries template that you saw above. BULK, focuses on large gains driven ingredient quantities, while LEAN, focuses on a wider formulation based on performance and cutting. Each, in their own respect are well suited for both purposes: cutting fat and gaining muscle. But, the key specializations that separate these two pre workouts make them perfect for the activities they are intended for. 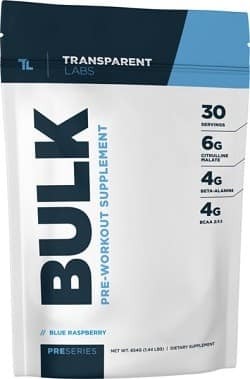 BULK is a pre workout dedicated towards lifting hard in the gym and building muscle because you did so. In this pre workout, you will find real clinical dosages of proven muscle building ingredients. 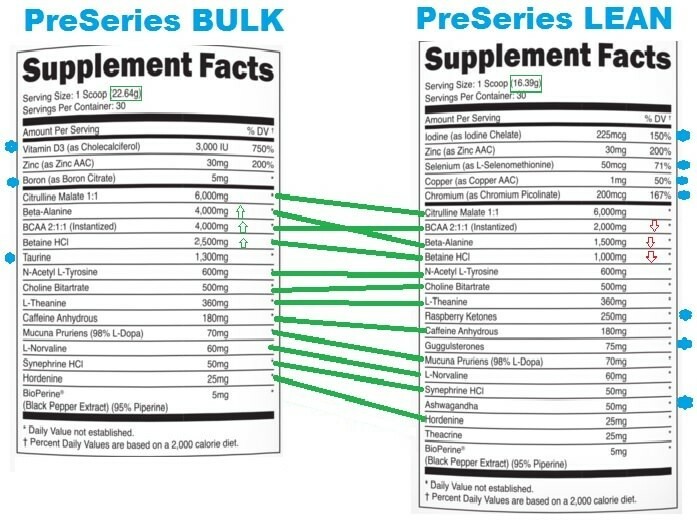 There are other pre workouts that contain these ingredients, but none offer the real clinical dose like BULK does. On the other side of the spectrum we have lean, with many of the same ingredients found in BULK. The main difference being, the amounts of these ingredients. LEAN contains lowered dosages of the muscle building ingredients in BULK, so that there is a perfect environment for muscle preservation and leaning. 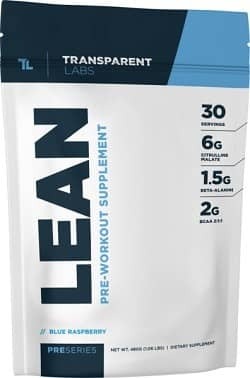 Additionally, LEAN provides a highly effective thyroid support matrix that compliments the thermogenic fat burner capabilities of this pre workout. In a nutshell, you’re keeping tone, building firmness, burning fat, staying focused, and feeling better as you get closer to your goals! Our direct experience with the entire PreSeries line has been fantastic. While the flavor of these pre workouts is not the best, the performance is far superior to any other pre workout we have tried; for each of the 3. Add in to this equation zero burn-out after the lift and no artificial dyes… And it’s a no brainer. We’re not the only ones saying this either. The feedback on this pre workout has been tier 1, even since before we got our hands on either one of them. If a pre workout comes out that is better than this PreSeries line, we’d be surprised!